Drills for the month of April are: Monday, April 15th at 1900 hours and Wednesday, April 17th at 1900 hours.
. Drill will be held at Frontier Fire Dept. Mandatory Drill/Meeting for physical Test will be May 20th through May 22nd at HQ Eng 7 at 1900 hours. 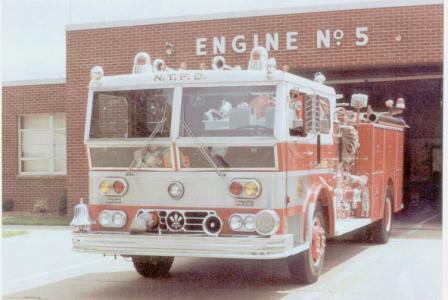 Regular meeting for Rescue Fire Co. is Friday, May 3rd, 2019. Officers meeting: Wednesday, April 17th. 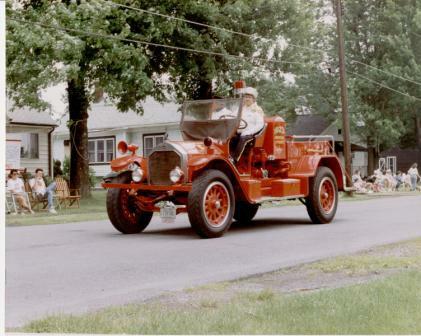 Our new Ladder Truck, "Truck 1"
Our "Blitz"......1923 American LaFrance, First used by the R.T. Jones Lumber Co. Fire Department in North Tonawanda, NY. City of Tonawanda's new "Ladder One" There our mutual aid firefighters from the south side of the canal, yes it is yellow, but it must not be ripe yet.